Ben Jones is an American artist who lives to make the world look, and be a better place. He is an activist who happens to be an artist, and uses the arts as a vehicle toward historical agency. 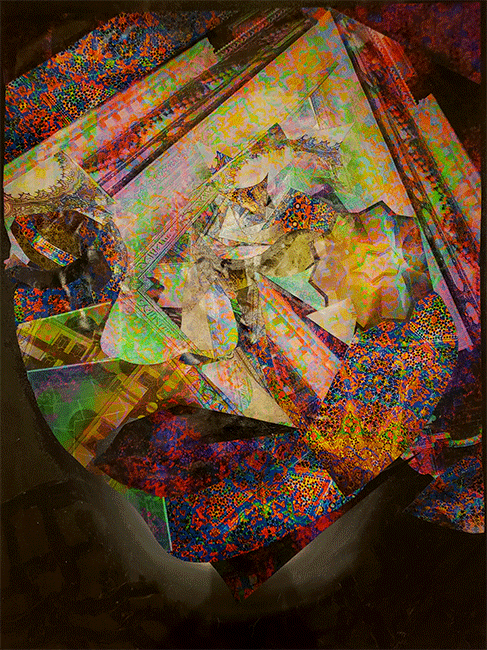 Jones’ works were featured at Visual Collaborative’s 2011 Monochrome & Color exhibit in the Mission. 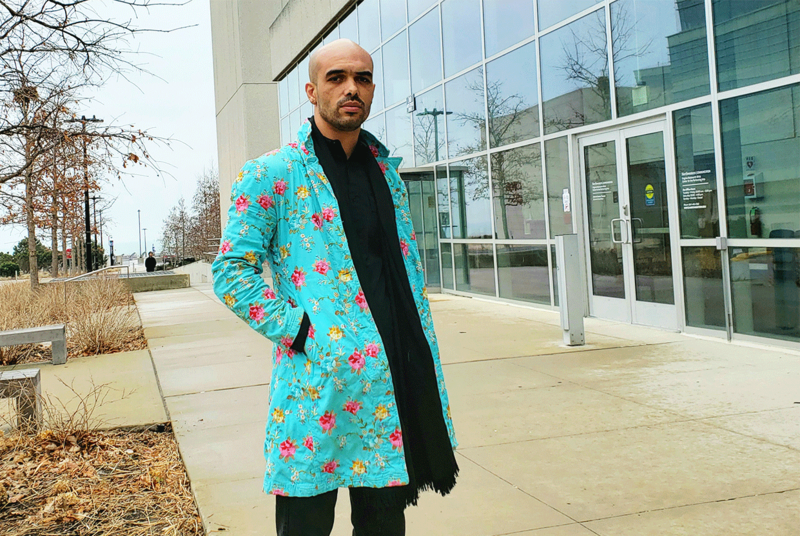 Now Pursuing a PhD at Northwestern, we catch up with the Chicago-based artist on his new location and future work. You have lived in Lincoln prior to a move to San Francisco’s Bay Area and now Chicago for a PhD. Was this a natural progression or more of a calculated life move? Thanks for the interest in my work. It has been an honor and I have been very fortunate to have been involved with Visual Collaborative in the past. I’ve always been a seeker of knowledge. When I was about four, I realized that the difference between kids and adults is that adults have realized more things. So, I went on this quest to realize things, and that sort of became what drives me from one location to the next. I rarely “live in the present.” Since we have a finite time on earth, it makes more sense to me to try to be smart about the moves we make, and the life we build for ourselves. Ultimately though, my adult life has been defined by a desire to make the world a better place, and that means breaking cycles of oppression, trying to figure out what liberation looks like, which I would say is contingent upon the liberation of black folk. Calculated is a tricky word, but yes, I rarely “live in the present.” Since we have a finite time on earth, it makes more sense to me to try to be smart about the moves we make, and the life we build for ourselves. How do you like Chicago? its perhaps the main major city in the midwest followed by Minneapolis. With so much to do/see/experience in the universe, it seems a bit ridiculous to spend as much time as I have in the Midwest––over 25 years. Chicago is a sort of capital of the Midwest and that means its wavelength is pretty in line with the heartbeat of the U.S. So, of course, there is segregation, black poverty, systematic extraction of resources and opportunities from communities of color, and too many guns pointed in the wrong directions. There are strip malls, and Applebees, a lot of Dunkin Donuts and Mcdonald’s restaurants, these things represent a kind of nihilistic and cynical hollowness germane to the West. That said, I am in Chicago because there is a real presence of an black/African community that is diverse within itself. In pursuit of a Ph.D., a few specific people are the reason I’m here, Krista Thompson, Huey Copeland, Alex Weheliye, and Sampada Aranke. If you haven’t heard of their work, I’d recommend looking them up. Your collection featured at Visual Collaborative’s Monochrome & Color exhibition in San Francisco. The subject of Malcom X itself stood out and held its own on the evening of the opening. How does that make you feel and would you every show in San Francisco again? The historian Manning Marable said something like, ‘Malcom x is the most interesting historical figure of the 20 th century.’ I’d say the most interesting historical figure is probably a black woman, but I hear the sentiment. Malcom is someone I have portrayed quite a bit, on large and small scales, ranging from mass productions to murals. If Malcolm stands out in an art show in the U.S., it’s probably because of the way he signifies blackness. Blackness stands out in the global imagination, as something to fear, to love, to fetishize, to be in awe of. ..one might argue that the commodification of blackness is the very definition of modernity. I’d like to lean away from that as an inevitability, while acknowledging it as a historical reality. Many prominent artists market blackness, or what wealthy people think is blackness. They literally commodify black identity like a slave on the (art) auction block. This is something I’m trying to work out ethically in my own work. On the one hand, I’m not sure that that version of the art world means much of anything relative to black being(s). On the other hand, while it seems a little ethically precarious to market whatever signifies “n**ger,” one might argue that the commodification of blackness is the very definition of modernity. I’d like to lean away from that as an inevitability, while acknowledging it as a historical reality. What would you say to a younger Ben Jones of 7 years ago about his career, based on what you are exposed to now? I would say read and understand Hortense Spillers, ASAP. No major regrets besides that. In your quiet or noisy moments how do you get inspired. What makes Ben create the work he does. Do you seek spirituality or get physiological like many artists for muses? Ben does whatever he thinks necessary to make positive contributions to the world. When I was younger I’d try alcohol or psychedelics or meditation to induce some version of heightened artistic stance. But now I know, that great art, like anything, takes work and diligence. I tell my students, there is no such thing as writers’ block. Being a creator means working with your mind and body, it is not a process of magical accidents, in my view. Some creatives give cliche responses about their admiration from the renaissance period, times of the greats Leonardo Da Vinci and Michael Angelo. Pardon us if you were going to give the same response, but If you could time-warp to any era which time would it be and why? First of all, anyone who thinks of himself or herself as a “master” is not someone I would want to be around. In fact, given the chance, I’d probably go the future when no masters exist. That’s usually the kind of world I try to envision or create with my work. At this stage of your professional career and accomplishments, If you could work alongside any other artist, curator or random personality who would it be and why? First let me say that the recent loss of Okwui Enwezor, is just too much. Second, I’m very happy with my current co-conspirators. For the sake of answering the question, it would be fun to try to talk Frank B. Wilderson into producing a sc-fi film about the end of the world, along with someone like Haile Gerima. What kind of work can the world expect from Ben Jones within the next 5 years given the rapid change of American culture? I dig these time questions. I am working on two book projects, one centers on the question, “What we fin’na do?” and one is organized around the question, “What we cain’t do?” I know it seems like there is a kind of temporal telescopic effect, particularly in a neoliberal moment, but I am not so sure that change is rapid. Black culture and black life is still the engine of both cultural production and the libidinal economy of the U.S., it is difficult to imagine that changing. Recently I’ve been painting with skin lighteners. I’m still trying to understand those materials, and how they function in the world and in art. I see myself moving away conceptually from a static or linear notion of “the future,” but I can’t say where that will take me. I can say that in five years, I’ll probably still be on a quest for better questions, and pursuing that through art, books, friends, family, and academic spaces.